Soak Barnyard millet 30 minutes before cooking. Pressure cook the millet with water and little bit of salt. Add a few drops of oil to it. Reduce the flame after first whistle and wait for 8 more minutes. Once the pressure is gone, open the lid 10 minutes later. Transfer the rice to a wide plate and let it cool for 5 minutes. Keep this aside. Meanwhile, heat oil in a pan. Add cloves first. When it splutters, add Bengal gram and sauté till it turns golden colour. Now add chopped onion and curry leaves and sauté for few minutes. When it is half cooked, add hand pounded pepper. Saute till onion is fully cooked. Turn-off the stove. Now add grated coconut and coriander leaves and stir well. Finally add barnyard rice little by little and mix everything thoroughly. Adjust salt as per taste. 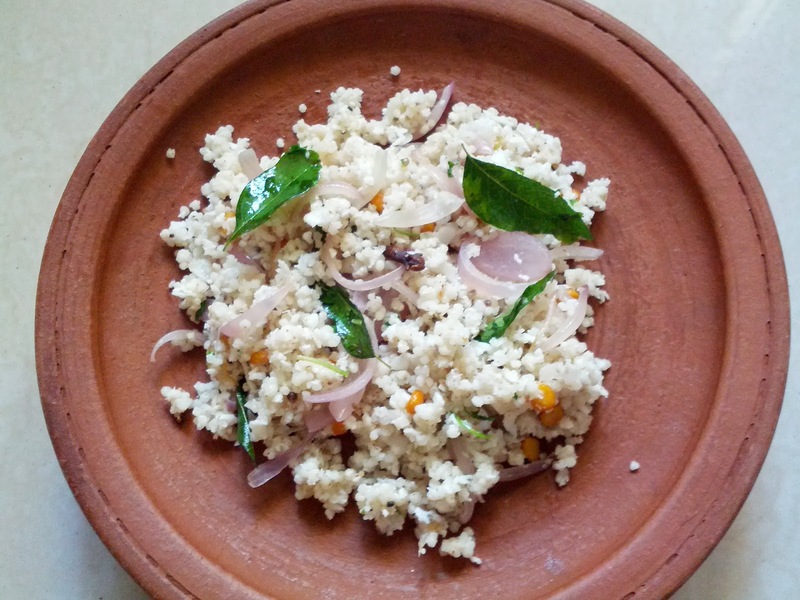 You may also try with any other millets like Kodo, Foxtail and Little millet with the same recipe.